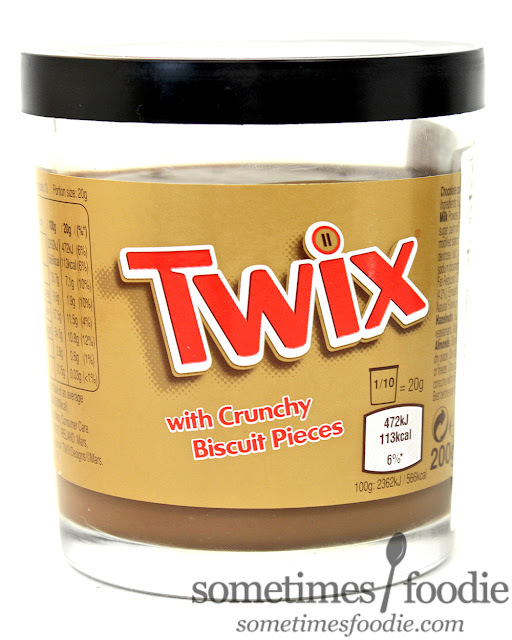 Sometimes Foodie: Twix, Two for Me - Where's the screw? Twix, Two for Me - Where's the screw? I picked this up at the mini World Market inside of our local Bed Bath and Beyond. I know I don't get out much, but when did that happen? (Not that I'm complaining.) I walked in to get a new bathmat and walked out with all kinds of neat snacks! I grabbed some mint Tim-Tams, some green tea, and this Twix spread. 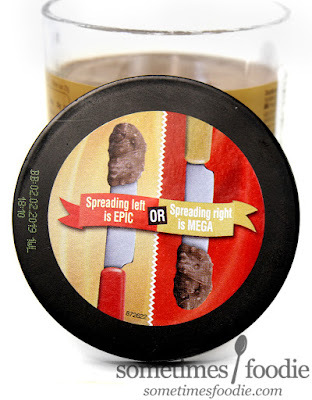 We have plenty of sweet spreads here in the USA, but I haven't seen this particular one, so I'm pretty excited. First off, the container threw me for a bit of a loop. I removed the plastic to open it and the cap instantly flipped right off and landed on the floor. There is nothing holding it on. No screw-style threading. It's just a simple plastic pop-top, like a can of Pringles or peanuts. It doesn't mess with the functionality of the product at all, but it's not something I am used to. The slight change in packaging made this feel like some kind of candle more than a food item, and the smell didn't help. We're not off to a great start here. I found the scent to be caramelized and nutty. Doesn't sound like a bad thing, right? But there are no nuts in Twix bars. This is smelling like some kind of off-brand Nutella (again, not a bad thing) but I was really hoping for more of a Twix-like experience. Then again, it might taste better. I grabbed a spoonful, with a decent amount of little cookie bits, and gave it a try. Thank goodness, it tastes like a Twix bar you might have forgotten in your car on a hot day. 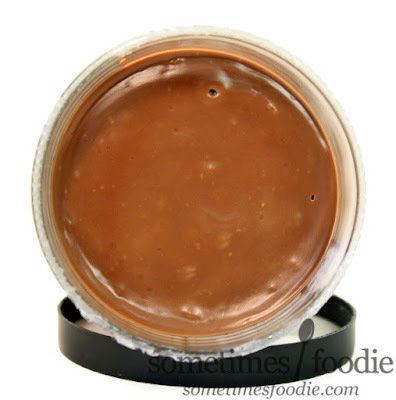 The spread tastes like sweet milk chocolate with a hint of caramel, and the little crunchy inclusions add some much needed texture, but not much "cookie" flavoring. I'd liken the cookie bits to Panko bread crumbs. Light, crisp, and satisfying. 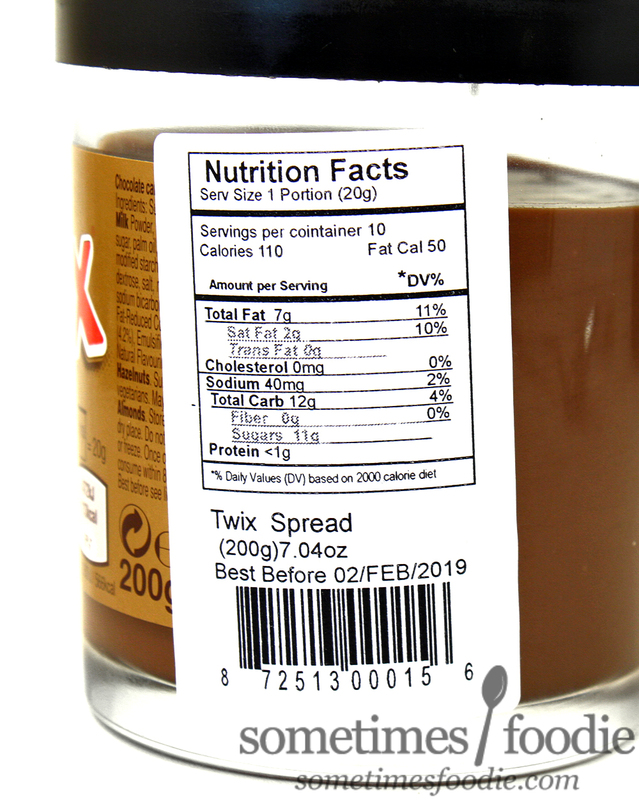 For the record, I don't feel like this spread tastes exactly like a Twix bar, since the cookie portion of the formula is a bit lacking, but it is a delicious chocolate caramel spread. Now, what do you use it on? Over the years I've reviewed a lot of spreads and butters, like these ones from Trader Joe's, and after my reviews went up, they sat in the pantry for quite some time. 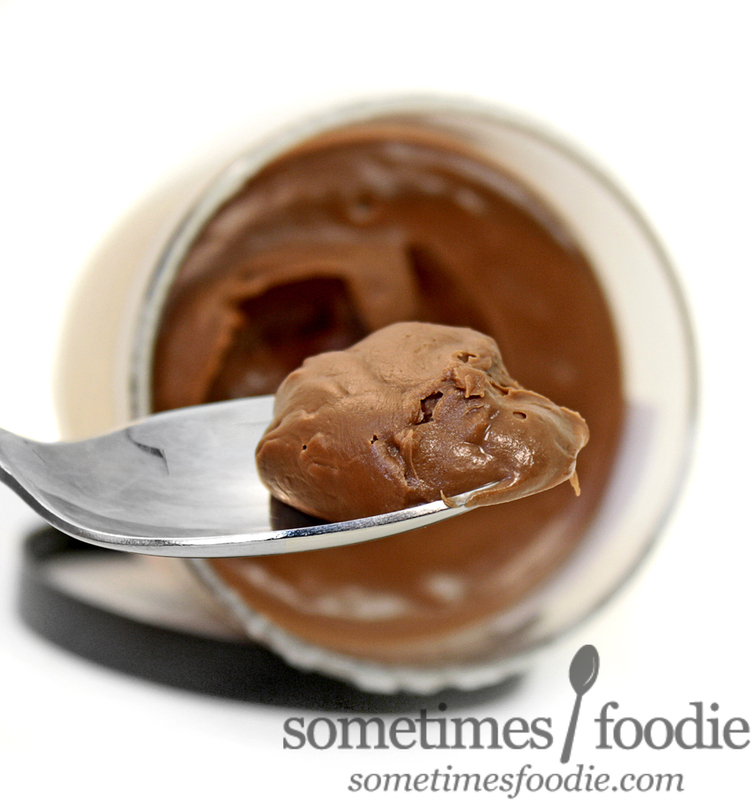 Every now and again I'd scoop out a spoonful and eat it as-is for a little treat, but I think I have finally found the best use of the chocolate-based spreads. Croissant filling. I had some leftover pop-can style croissants in my fridge and I spread a healthy portion of this Twix spread in the center before rolling them up. They were a HUGE hit. The overly sweet milk chocolate base with a hint of caramel worked really nicely with the flaky, slightly salty, buttery croissant dough. After baking, the cookie bits in the spread pretty much disappeared, but they were not missed. I think that'll be my go-to use for the rest of this jar. 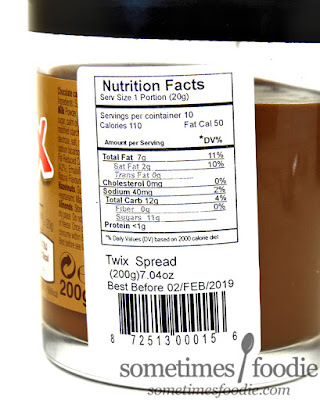 If you love milk chocolate spreads, or chocolate filled croissants, this Twix spread is definitely worth a try, but if you're a die-hard fan of the candy bar, you'll find yourself missing the cookie base. (Maybe use it as dipping for shortbread cookies? Like Twix Dunkaroos?) Either way, this was a fun product and I am happy I bought it, but due to the price (which is a little high since it's an imported product in the USA), I don't think I would buy it again when I have Nutella and other chocolatey contenders.